What a significant year 2017 has been for the retail industry. If you listen carefully, you can almost simultaneously hear the racing of hearts and long deep sighs as we near the end of yet another financial year. While several developments – including the increasing disruption of technology and the entrance of Amazon into new markets – have changed how we conduct business significantly, what we can predict with certainty is that the retail industry shows no sign of slowing down. We are now all operating 24 hours a day, 7 days a week, and this is unlikely to change any time soon. So, what else have we learned? The challenges presented to retail are no longer met purely by customer experience. In recent years, the industry has evolved as it aims to meet the increased demands from consumers, and the creep of international entrants to the market. We’ve engaged in lots of conversation about traceability, fulfilment and delivery, though almost independently of one another. However, as the “need for speed” comes closer to the forefront of our daily lives, logistics and its supported technology must now be considered as an intrinsic element of retail – a vital piece of the e-commerce and omni-channel ecosystem. The food retail industry specifically, is about to experience some of the most prolific changes we’ve seen. “The rise of the connected consumer and technological advances will help redraw the food landscape in 2018,” says Joseph Clayton, CEO of the IFIC Foundation. 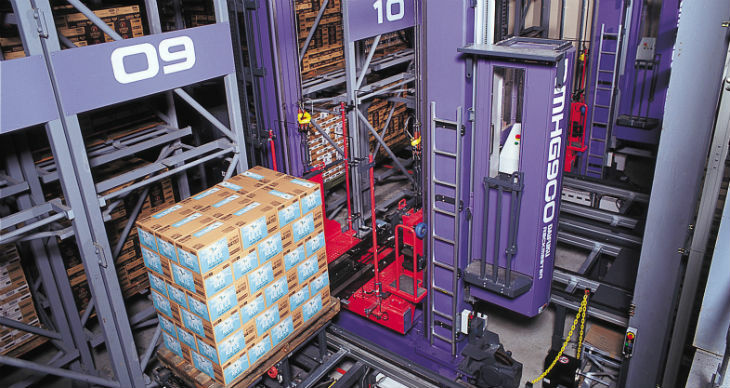 The challenge lies in not only providing an extended shelf life, fast goods and flexible delivery systems. With mindful choices cited as the number one trend in retail by Innova Market Insights, we must now also ensure that the goods and services we provide meets our customer's values. Below, we outline the top four takeaways (pardon the pun) of the food industry in 2018. One of the most important outtakes from this year’s Australian Retail Outlook survey by Inside Retail, was the increased concern of global entrants to the market, with more than half of respondents saying they were worried about foreign competition. The ageing, high-cost labour market in Australia, combined with the growing cost of energy and retail spaces presents a formidable challenge to local businesses going up against low-cost international competitors. To call it a price war would be almost complementary, an uphill battle would be a more accurate description. Consumers are more mindful than ever about the choices they make when it comes to food; how much we consume, where it comes from, and its environmental impact. The move towards fresh, paddock-to-plate, whole foods is increasing, along with the need to decrease overall waste. The growing industry of ready-made meals and fresh-to-door ingredients is creating a more efficient model for the time-poor, conscious consumer. By some estimates, about 40% of food produced for our consumption never reaches a human stomach. The future of the food production industry sees our personal values driving the way in which products are created, packaged and distributed ensuring sustainable, ethical practices are employed. Next-day and same-day delivery were once considered to be consistent with high-end service. In today's environment, they are expected. As such, manufacturers today are seeking ways to reconfigure their warehouses to meet the growing requirements of retailers and enable swift supply with flexible delivery options. They need to do this while having complete visibility of stock to accommodate large and small quantity orders, prolonged shelf life and food safety. As technology continues to evolve, so too does the expectations of retailers. Businesses need to be agile, constantly moving and most importantly – deliver. Innovation can improve much about the food retail industry, particularly in ensuring better productivity and efficiency. “Businesses in today’s environment require end-to-end solutions without complexity, that can ensure they deliver top-tier service to meet and exceed the demands of today’s retailers, driven by consumer demand,” he said. As the world’s largest innovators (Modern Material Handling 2017 official list), Daifuku provides next-generation technologies created for today’s and tomorrow’s industry leaders. Before we talk, we listen. It is our business to understand our customers. To deliver for both their current and future needs. Our engineering expertise extends beyond the obvious considering new and existing systems, process and people offering intuitive design solutions that take on ‘whole of business’ view. We ensure businesses are online, all the time. Critical to modern business operation is the ability for maintenance work to be carried out while the system is still completely functional, in addition to providing round-the-clock, local support. Want to learn how you can redefine your organisation’s supply chain operations? Daifuku BCS is exhibiting at stand C18 at CeMAT Australia 2018, the leading trade fair for materials handling, intralogistics and supply chain management. Register for your free visitor pass today, or contact one of our specialists at +61 3 9703 1364.